One of the highlights of my trip was witnessing a signing ceremony between Boeing and Indonesia’s Lion Air. Lion Air has agreed to buy 230 new 737-model aircraft from Boeing, valued at $21.7 billion, making it the largest commercial deal in company history. The sale is estimated to support 110,000 industrial jobs in the U.S. Singapore is a global aviation hub in the Asia Pacific region, widely considered to be the most promising market for the aerospace industry worldwide. Boeing estimates that Asia Pacific airlines will need an additional 11,450 new airplanes valued at $1.5 trillion over the next 20 years. Singapore is a major buyer of U.S. aerospace products and just last year, the U.S. exported $3.6 billion in U.S. aerospace products to Singapore, a 10.4 percent increase over 2010. 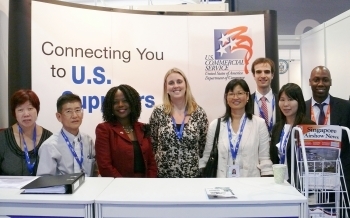 Participants in the mission are exploring export opportunities through pre-arranged meetings with potential buyers, agents and distributors, are being briefed by local industry leaders on local market conditions and are meeting one-on-one with U.S. Commercial Service aerospace and defense industry specialists from ten markets throughout Asia as part of the Commercial Service’s AsiaNow Showtime program. In addition to leading the trade mission, I had the opportunity to meet with a range of U.S. aerospace companies to better understand the trade and manufacturing issues of greatest importance to them and had high-level advocacy and policy discussions with foreign government officials about how we can continue to increase our international trading partnerships. 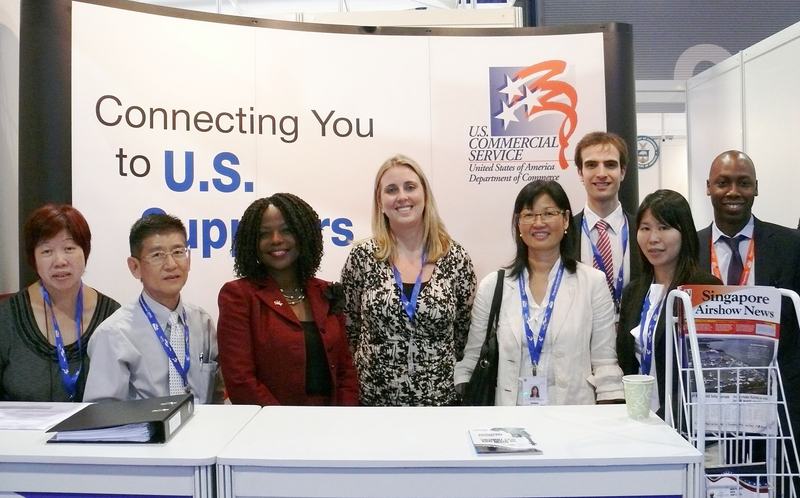 These partnerships are helping to expand manufacturing exports from the U.S. Through the use of foreign markets, U.S. businesses are increasing their customer bases, boosting both production and their ability to support new jobs at home. In January alone, the U.S. manufacturing sector added 50,000 jobs, which means in the last two years the industry added 404,000 jobs across the country, and many of these manufacturing jobs are supported by profits made through international trade. The buzz this week in Singapore is the aerospace sector, but what excites me is how the U.S. aerospace industry typifies the success of U.S. manufacturers across industry lines. Many of our manufacturers and service providers are finding success in markets around the world and putting more American’s back to work. A strong U.S. manufacturing sector is an important pillar of an economy built to last!